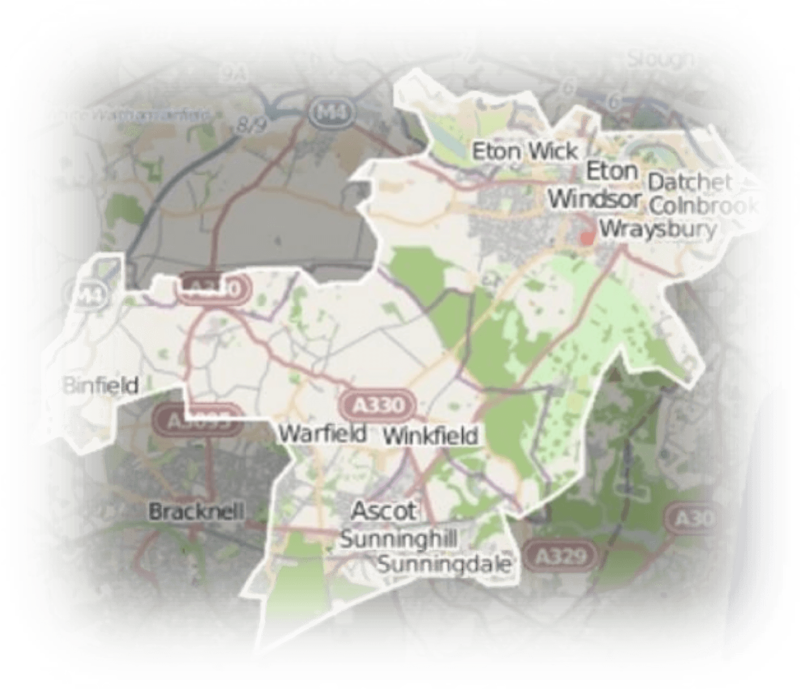 The Windsor Constituency is made up of towns and villages lying within the Royal Borough of Windsor and Maidenhead, Bracknell Forest Council, and Slough Borough Council. The Windsor Constituency is surrounded by the delightful countryside of Royal County of Berkshire, including the Windsor Great Park. The area contains some of the most beautiful towns and villages in the UK, as well as historic buildings, parks, lakes, and racecourses. At the centre is the historic town of Windsor, famous for its castle and royal connections. The River Thames flows through the town and winds its way past Eton College, Datchet and The Savill Garden. The Constituency is also home to Ascot (home of Royal Ascot), as well as the charming villages of Sunninghill, Sunningdale, Horton, Colnbrook, Wraysbury, Winkfield, Binfield, Cranbourne and Warfield. It is a lovely place in which to live, and a fantastic place to visit and explore.